We are on sale until the end of June 2017. Complete our online form below to get your free quote. 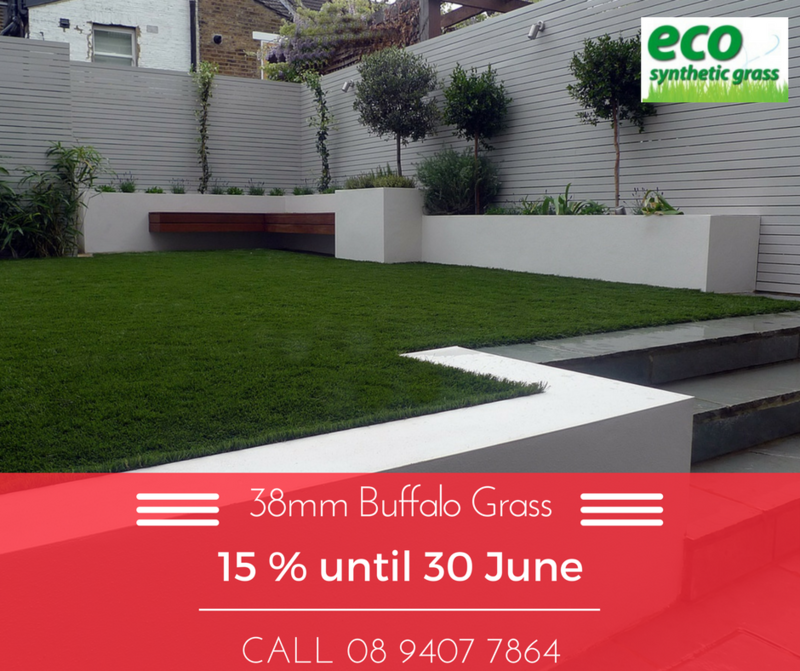 Eco Synthetic Grass’ artificial buffalo grass is a heavy weight product designed to replicate the look of real buffalo style grasses. The colour of this grass is a slightly darker green as natural Buffalo grasses tend to be darker in colour than narrow blade grasses. Order more than 30m2 and get 10% off on your purchase. Get your quote, today. Whilst buffalo grass is drought tolerance and very low maintenance, it fails to remain its green blades all year long. Sadly, when that happens; it leaves brown patches of grass in your garden. This makes your lawn ugly. without the need to water and fertilise it. You can even say goodbye to your lawn mower. Wondering if your pets can safely play on it? They sure can. Our grass has been certified by CSIRO ensuring it is safe to play with even by your children. Installation is simple and easy. You can even do it yourself. So what are you waiting for? 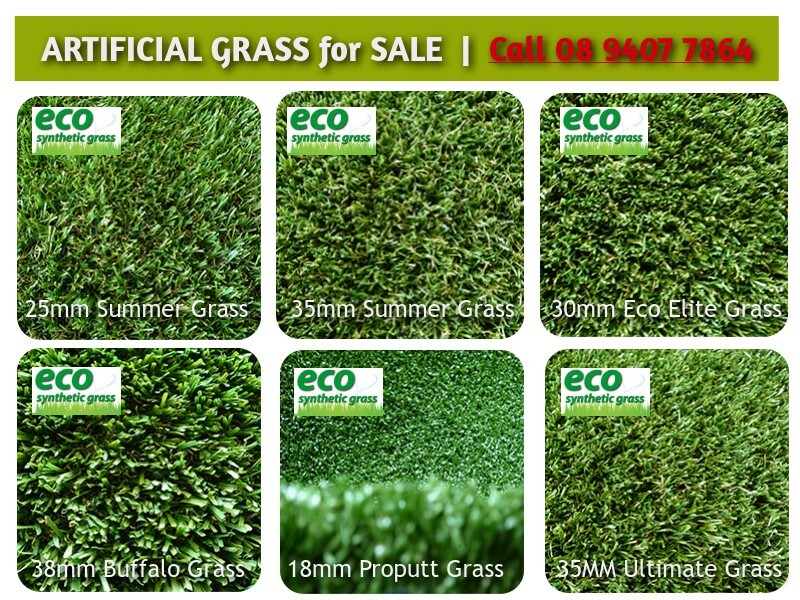 Order 30m2 or more and get your grass 10% off. 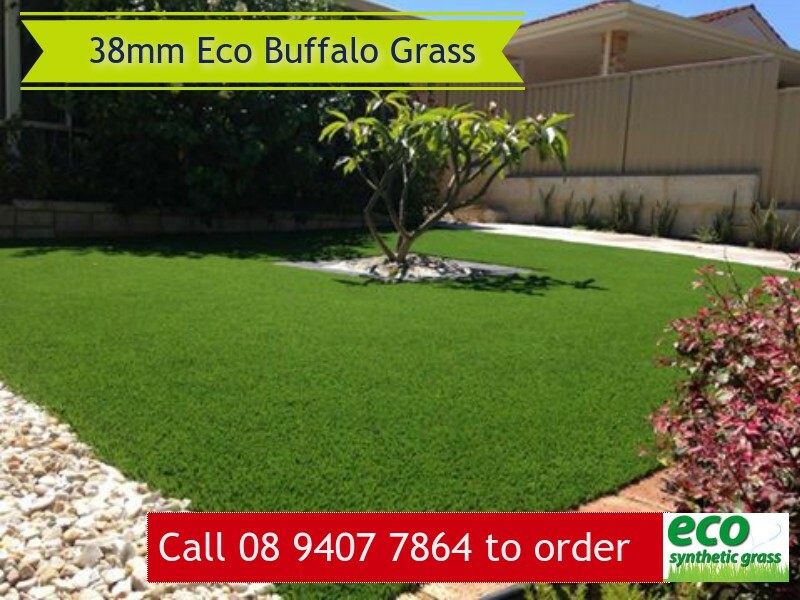 Get our artificial lawn installed, today. We are happy to help. Call us at 08 9407 7864.